Being diagnosed with cancer often stimulates people into action and triggers powerful survival instincts. Numerous purveyors of alternative medicine cater to these natural fears, and in desperation many patients adopt a shotgun approach, imbibing dozens of herbal substances based on unsubstantiated claims from the manufacturer. This “grab-everything-off-the-shelf” approach can be expensive and occasionally counterproductive. Most alternative therapies for prostate cancer are harmless, but their promise to improve longevity is highly doubtful. Some perspective on the many claims from the vast supplement industry can be helpful, as well as consideration of some other, much more valid claims for certain medications not normally considered for their anticancer activity. In our search for effective treatment, how can we separate the wheat from the chaff? After all, the shotgun approach has a limit: we can’t scarf down dozens of pills year after year without the validation of scientific evidence. There must be a way to sort through such a huge field of candidates and land on the most effective agents. In my 20 years of working with patients living with prostate cancer, I have learned a few trustworthy principles to help this quest. It is essential to distinguish actual scientific evidence from the intriguing stories cooked up by overheated marketing departments. Marketers spin all sorts of interesting theories about how, for example, their product stimulates the immune system. This is a great claim for an herbal substance because there is no way to directly measure immunity and therefore no way to refute the claims. A genuine immune medication only gets approved by the FDA through a demonstration that it unequivocally prolongs survival. Unfortunately, such stringent laws are not applied to the supplement industry. Companies selling herbal products are not required to prove anything to anyone. The second thing to keep in mind when considering a nonprescription agent is to completely discount claims of efficacy based on studies performed with animals. These studies simply don’t translate to humans. Time and time again, great results have been initially achieved in rats only to prove worthless when retested in humans. If successful rat studies were an accurate indication of anticancer efficacy, our cancer problems would have been cured years ago. Finally, I have never seen an effective anticancer agent that is completely devoid of side effects. Anything powerful enough to counteract cancer will invariably have at least some potential for side effects. Agents with a totally bland side effect profile can be considered useless against cancer. Unfortunately, these three principles lead to the almost universal conclusion that there is little basis for spending money on herbal agents to fight cancer. Whenever the subject of alternative therapy comes under discussion, it’s natural for questions to arise about the impact of diet. As my career matured, I witnessed many patients suppress their PSA by adhering to stringent vegan or macrobiotic diets. My belief in the importance of diet was further confirmed when T. Colin Campbell published a book called The China Study that showed a strong connection between increased animal protein intake and higher cancer rates. How can diet make such a big impact? We don’t have all the answers, but there are some very logical suppositions. First, consider that the essence of what makes cancer dangerous is cellular multiplication and tumor growth. Cancer becomes deadly due to enlarging tumors that spread through the body causing organ malfunction, which ultimately leads to a patient’s demise. Isn’t it logical to assume that “well fed” tumors will grow more quickly than ones that are nutritionally deprived? Diets high in animal protein promote cellular growth because they provide an overabundance of amino acids, the basic building blocks of new cancer cells. Animal protein also contains copious fat, a potent source of cellular energy. A “lean” hamburger, for example, contains 50 percent fat, so animal protein can be fuel to cancer’s fire. Conversely, a vegan diet is much more likely to suppress cancer. Unfortunately, only a minority of humans have the necessary self-discipline to continue a vegan diet on a long-term basis. But another, perhaps more practical option exists. Certain prescription medications can be used as an alternative therapy. Two such agents, statins and metformin, seem to achieve their anticancer effects by mimicking the effects of a vegan diet. Metformin is a generic medication approved for the treatment of diabetes. Careful studies have been performed to evaluate survival rates in men with diabetes and prostate cancer who are treated with metformin. When the survival rate of metformin-treated men is compared with other patients who have both diabetes and cancer and are treated with medications other than metformin, the metformin-treated men live longer. Metformin’s anticancer effect is best explained by its insulin-lowering effect. High insulin is bad for cancer patients because insulin has functions similar to growth hormone. Keeping insulin levels in the blood at a lower level with a good diet, metformin, or both reduces the hormonal stimulus of cancer growth rates. Statins, otherwise known as cholesterol pills, are another type of medication that appears to mimic the beneficial effects of a vegan diet. In a report presented by Dr. Park at the annual meeting of the American Urology Association in 2015, prostate cancer cure rates were shown to be 25 percent better if men took cholesterol pills. His findings were based on a compilation of seventeen observational studies involving 30,000 patients. Seven of these studies evaluated men who were treated with radiation, nine evaluated men treated with surgery, and one evaluated a combination of the two. For some reason, the improved cure rates were only seen in the men treated with radiation. Similar findings were reported by Dr. Grace L. Lu-Yao in 2015 at the annual meeting of American Society of Clinical Oncology. In her study of 22,110 prostate cancer patients, a statin medication used in conjunction with metformin reduced the risk of cancer mortality by 43 percent. Aspirin is a third medication that prostate cancer patients need to consider. Though aspirin is ubiquitous and well known to reduce cardiac risk—studies show that it lowers the risk of heart attack by 30 percent—two articles published in the Journal of Clinical Oncology report significant anticancer effects. In the October 2012 issue, Dr. Kevin Choe reported that the ten-year prostate cancer-specific mortality rate was reduced from 19 percent to four percent in men who took aspirin compared to those who didn’t. The other article published in 2014 by Dr. Eric Jacobs also evaluated the value of low-dose aspirin therapy. In this study, the prostate cancer mortality rate was 40 percent lower in the aspirin-treated men compared to the men who did not take aspirin. Most over-the-counter herbal agents are probably harmless. However, this is not universally true. Published studies have raised the concern that multivitamins may “feed” cancer, leading to shorter survival in prostate cancer patients. Studies have also reported that excess intake of certain minerals might have the same effect. For example, studies of men taking large amounts of zinc and iron report shorter survival. I suspect that the explanation for the deleterious effects of multivitamins and minerals falls along the lines of what is seen with high protein diets. Just like when men consume excess amino acids leading to faster cancer growth, tumors also grow faster when they are provided with an abundant amount of vitamins and minerals. While the studies of aspirin, metformin, and statin drugs clearly appear to be beneficial, they are not risk-free. With aspirin, for example, one out of 200 people can get a bleeding stomach ulcer. People taking aspirin who develop black stools or heartburn should stop it immediately and get further medical attention. Potential side effects from statin drugs include muscle aches and liver problems. After starting a statin, men need to be warned to stop the medication if new muscle pains develop. Blood testing to detect any liver abnormalities is also necessary. The side effects of metformin are usually limited to low-grade gastrointestinal discomfort. However, metformin should be used with caution in older men with impaired kidney function. You may understandably feel lukewarm about taking “extra” prescription medications, probably due to concerns about side effects. But there are ways to mitigate these dangers. Close and frequent monitoring with blood tests should be the norm whenever a new medication is started. This way, if a medication-related problem occurs, it can be detected early and the medication can be stopped before there is any lasting harm. Starting more than one new medication at a time should be avoided. Then, if side effects occur, confusion as to which is the offending agent is avoided. New medications should be initiated at a low dosage. Dose escalation should be done slowly and only after tolerance is confirmed at the lower dose. Despite the need for certain precautions, aspirin, cholesterol pills, and metformin appear to have substantial anticancer benefits for men with prostate cancer. 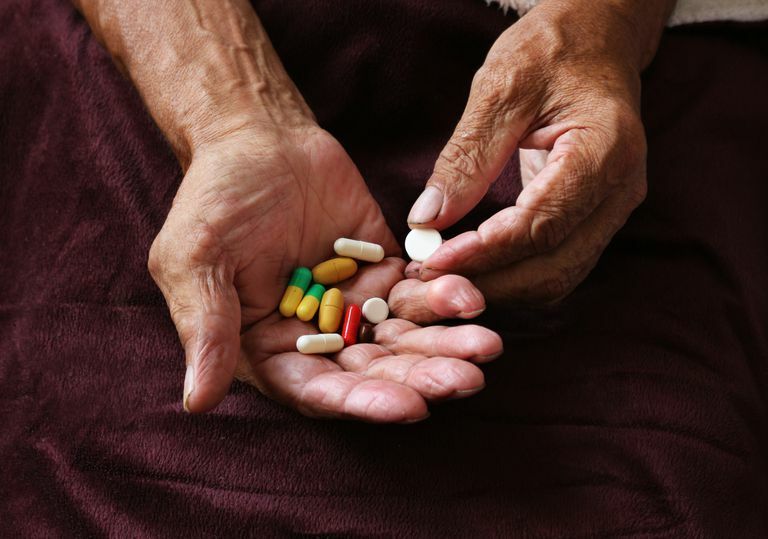 These medications are inexpensive and readily accessible, so it seems prudent for men with prostate cancer to discuss the possibility of initiating aspirin, metformin and a statin with their physicians. While a slickly marketed herbal substance may be appealing, it may not be the best option for battling your cancer. It’s clear that studies showing a rigorous adherence to a diet low in animal protein are the most convincing. However, the additional “dietary” benefits of metformin and cholesterol pills should not be overlooked, nor should the potential benefits of aspirin. Assuming you take careful precautions against potential side effects, these three agents are far more likely to be beneficial than harmful. Campbell, T. Colin, and Thomas M. Campbell, II. The China Study: The Most Comprehensive Study of Nutrition Ever Conducted and the Startling Implications for Diet, Weight Loss, and Long-term Health. 1st BenBella Books ed. Dallas, Tex. : BenBella Books, 2005. Park, H. S., J. D. Schoenfeld, R. B. Mailhot, M. Shive, R. I. Hartman, R. Ogembo, and L. A. Mucci. "Statins and prostate cancer recurrence following radical prostatectomy or radiotherapy: a systematic review and meta-analysis." Annals of Oncology 24, no. 6 (2013): 1427-1434. Lu-Yao, Grace L., Yong Lin, Dirk Moore, John Graff, Antoinette Stroup, Kimberly McGuigan, Stephen Crystal, Shahla Amin, Kitaw Demissie, and Robert S. DiPaola. "Combination statin/metformin and prostate cancer-specific mortality: A population-based study." (2015): 5018-5018. Jacobs, Eric J., Christina C. Newton, Victoria L. Stevens, Peter T. Campbell, Stephen J. Freedland, and Susan M. Gapstur. "Daily aspirin use and prostate cancer-specific mortality in a large cohort of men with nonmetastatic prostate cancer." Journal of Clinical Oncology 32, no. 33 (2014): 3716-3722.